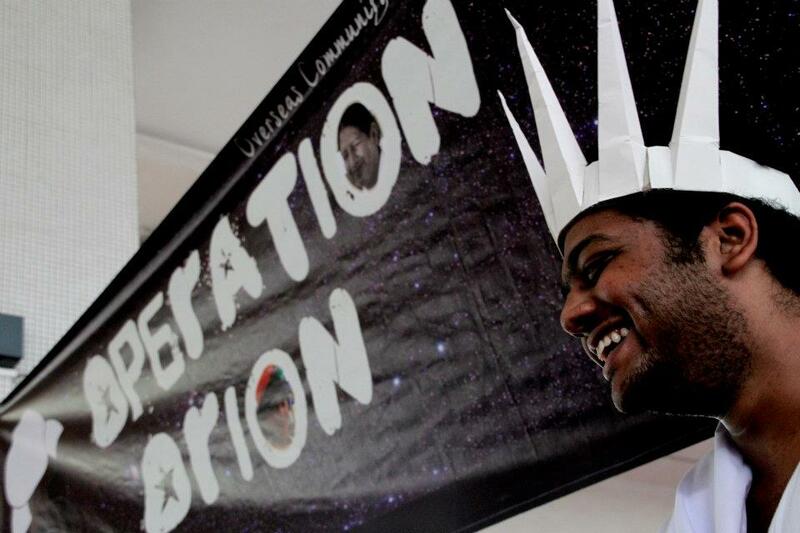 Looking back, Operation Orion 2011 was a journey of illuminating self-discovery, great team spirit and explosive fun! 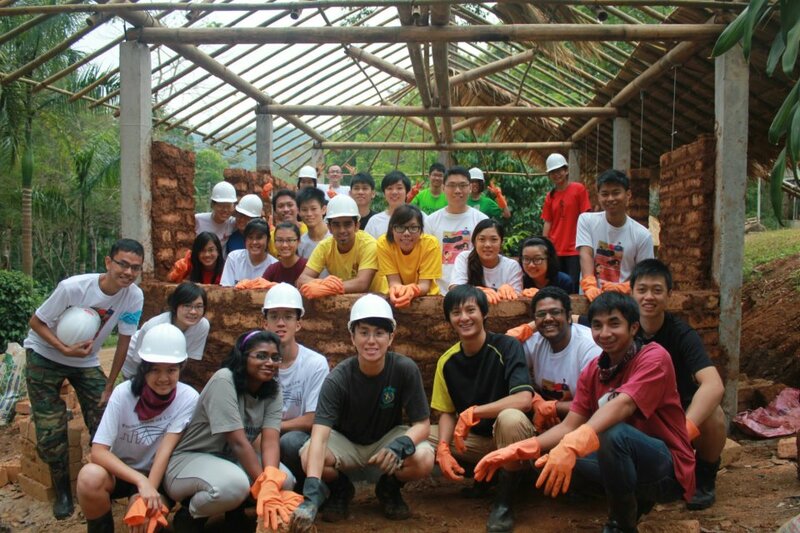 This year, a team of 34 undergraduate members travelled to Chiangmai, Thailand in December 2011. There, we assisted the Mae Lod Royal Project in collaboration with Thai Youth Foundation Community to build an “Earthen Learning Centre for the Sufficiency Economy”. This Earthen Learning Centre will showcase new agricultural techniques and are targeted at the local hill tribes living around the area, who use the slash-and-burn technique to farm. By building a place for these improved techniques to be displayed, it is hoped for that the local hill tribes will benefit from them and gain an improved standard of living. Before travelling there however, there was much work to be done! First, the team was gathered, and in the end we were an eclectic bunch of students from various faculties: Engineering, Science, and the Arts. This is the first year we had such a significant portion of our team members coming from outside the Faculty of Engineering and the diverse insights they have brought to the team served only to propel team dynamics to a whole new level. Next, we conducted a string of events throughout the semester: team bonding day, local community involvement projects, booth sales, car wash, bazaar, bubble tea sales, Pledge Your Love sales, lucky draws, just to name a few. Our members really outdid themselves, putting in so much time and commitment into these events and making each and every one of them a resounding success. A few notable moments during the journey include the completion of the breathtakingly beautiful Piece Your Love board, exceeding our fundraising target significantly and having an Orion mascot walking about selling the colourful Pledge Your Loves. Finally, after months of preparation, we flew to Thailand to embark upon our main project- building the Earthen Learning Centre using the adobe mud brick technique! The building of this mud brick house is Operation Orion’s most ambitious and technically challenging endeavour in its 11 years of history, and right from the beginning there were concerns over the time constraints, the lack of technical expertise and so on. Yet our team rose to the occasion magnificently and we completed the project with time to spare. Setbacks like language barriers, unfamiliarity with construction procedures, and even fatigue delayed our progress, but we persevered on against all these challenges and surmounted them all. I believe this was possible only because of the excellent team spirit bonding all of us together. Indeed, seeing everyone reminding each other to take frequent water breaks, giving support whenever someone is down and sharing good stuff (usually food) with the rest of the team were truly heartening sights and it was an amazing experience to be a part of this wonderful team. But despite the building of the Earthen Learning Centre being our physical focus, the true heart and soul of the community project were the locals themselves. Welcoming and genial, they invited us into their fold and we truly felt at home within the tiny community. Here, special mention has to be given to Art, Angel, Mon and Parn, our Thai translators. Without them, our time at Mae Lod would not have been so smooth-sailing or memorable, and the friendships we forged with them will stay with us for life. We also went to a primary school and conducted a riot of activities for the children, teaching them basic hygiene skills, new interactive games and mixed in some academic learning along the way. All in all, the children and us had a whale of a time together and I sincerely hope that we have left a positive lasting impact in their lives. Although it may seem as if the local community over there had benefited the most from us, in hindsight, we were the ones who had received the most precious gift of all- personal growth. Over the course of this journey together, I saw Orion members developing as people, as friends, and as leaders. Such personal growth is priceless beyond measure and it is something we can never learn inside a classroom or from a textbook. Today, Operation Orion 2011 has concluded, but the 16-days experience we journeyed through together will stay in our hearts and minds forever.